Chase has launched a valuable new offer on one of its most popular rewards cards, the Chase Freedom Unlimited®. Instead of an upfront cash bonus, the card now offers 3% cash back on all purchases for the first year, up to $20,000. That’s a total of $600 cash back (or 60,000 Ultimate Rewards points). After you reach the $20K spending threshold, the earning rate reverts to the standard 1.5x on every dollar spent. If you value simplicity, Freedom Unlimited is an ideal choice because it gives you a great return on every purchase—without having to worry about whether you're using the best card for gas, groceries, dining, etc. In short, if you're open to the idea of having two Ultimate Rewards cards in the long term, we recommend applying for the Sapphire Preferred—which recently increased it's welcome bonus to 60,000 points—before getting the Freedom Unlimited. That is not to say that you shouldn’t get the Freedom Unlimited. Long-term, we see the Freedom Unlimited as one of the most valuable cards you can hold for non-bonus spending when integrated into an Ultimate Rewards earning combo of cards. And if you already hold a premium Ultimate Rewards earning card, this offer will allow you to earn 3X points on all purchases in the first year up to $20K spend, and then 1.5X points after that. Ongoing, you're earning 50% more points for every dollar that doesn’t hit a category bonus than if you don’t hold this card. As a standalone rewards card, the Freedom Unlimited earns points that can be redeemed for 1 cent each as cash back or travel. However, if you pair it with the Sapphire Reserve, Sapphire Preferred, or Ink Preferred, those points are worth 1.25-1.50¢ per point when used for travel. You can also gain the ability to transfer them to Chase’s stellar list of airline and hotel partners, including high-value programs like United MileagePlus, Southwest Rapid Rewards, Virgin Atlantic Flying Club, Singapore KrisFlyer and World of Hyatt. If you don’t currently hold a premium Ultimate Rewards card that allows you to transfer points to travel partners, and you are under 5/24 – get the Sapphire Preferred first (or the Sapphire Reserve if you can max out the additional travel perks). The 60,000 bonus requires just $4,000 spend as opposed to the $20K needed to get the same number of points on the Freedom Unlimited. Plus, you must have a premium Ultimate Rewards earning card to transfer points to partners. If you currently hold a premium Ultimate Rewards earning card, or, for whatever reason, you don’t think you can hit the $4,000 minimum spend in 90 days on the Sapphire Preferred, applying for the Freedom Unlimited can provide a ton of value. Earning 3x Ultimate Rewards points on non-bonus spend is a fantastic return by anyone's standards, and for folks that can hit the $20K spend over the first year, this offer is an opportunity to capitalize on household expenses that don’t fall within traditional bonus categories. Keep in mind both the Freedom Unlimited and Sapphire Preferred are subject to Chase’s 5/24 policy, so if you’ve opened 5 or more new credit cards in the previous 24 months, there is almost no chance you’ll qualify for either of these cards. The new offer on the Chase Freedom Unlimited® could land you a significant balance of Ultimate Rewards points over the first 12 months. And, looking long-term, it's a card you want in your Ultimate Rewards stable of cards, as you receive 50% more points on non-bonus spending than any other UR earning card. 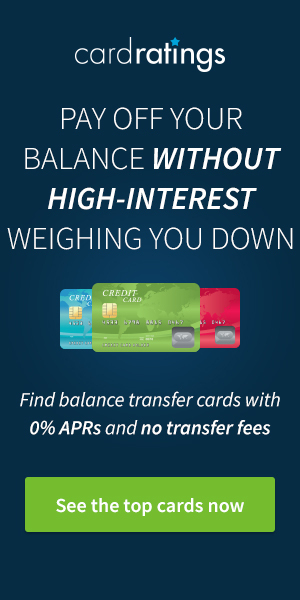 But, if you don’t hold a Sapphire Preferred, Sapphire Reserve, or Ink Preferred, you are almost guaranteed a better return by applying for one of those cards first so you can unlock the heavy-weight features that make Ultimate Rewards so valuable; the ability to transfer points to partners, and higher fixed-value redemption options through the Chase Travel Portal. Did you know that you can mark an account as Active, and then that account will show up in the Active Accounts tab? Using the Active Accounts tab an excellent way to filter your most used loyalty accounts. Honestly it’s not a bad option these days to take the cash back. I plan to apply for Sapphire Preferred or Reserve in the next 12 months and will not be subject to 5/24. If I got the Unlimited now, and have Freedom already, would I be able to move all UR points that I have accumulated between now and then over to the premium card once I get that? PS – I found you guys after listening to Richard’s new podcast. Awesome, always nice to meet a new reader! And, yes, when you get a premium UR earning card you will then be able to transfer all the points from the two Freedom cards to the CSP/CSR and transfer them to partners. Alternatively, you could get the Ink Preferred to make your points available for partner transfers. Since there’s no bonus for applying for the 3% CFU, if you already got the bonus from CFU within 24 months, can you still get the 3% bonus (if that makes sense)? No, while they’ve removed the traditional signup bonus, they still consider the 3% a welcome offer and it carries the same 24 months language. It’s Friday and I’m tired but I think I am missing something here. On another page on your site you value Chase Ultimate Rewards points at being worth 1.7 cents per point. So, $600 cash back is worth only 35,294 Ultimate Rewards points, right? – Matt. If you only hold the Freedom Unlimited, the points earned on this card are worth 1 cent per point as cash back or towards travel in the Chase Travel Portal, so 60.000 points = $600. While the card is marketed as earning 1.5% cash back, in reality, it earns points which you can combine with Ultimate Rewards points earned on other cards. This is where it can get a little confusing. If you also hold the Sapphire Preferred, Sapphire Reserve, or Ink Preferred, you can transfer points to travel partners like Hyatt, Southwest, and United, and get a much higher cent per point value when redeeming those points for business and first-class travel. If you also hold a premium UR earning card, we value UR points at ~1.7¢ each, if you only hold the Freedom Unlimited points are worth a flat 1¢ each. Clear as mud? I just recently got the Freedom Unlimited, but also have the regular Freedom and Chase Sapphire Reserve cards. Was I wrong to think that I would be getting 1.5 UR points per dollar with the Freedom Unlimited? If so, boo. Is it more worthwhile to take the cash back rather than combine it with the UR points on my other cards? Thanks! Not wrong at all, the Freedom Unlimited earns 1.5 points on every purchase and you can combine those points to your Sapphire Reserve for better redemption value and transfer to partners. Exactly. 1.5 points/dollar here where you can then transfer to your Reserve and redeem through the travel portal at a 50% bonus so now you actually got 2.25 cents per dollar spent on you FU card. Freedom then translates to 7.5 cop on quarterly spending and travel/dining g at 4.5 cpp. That’s a great return right there as a cashback system on a travel card. You can transfer to partners for better face value (but is a first class flight really worth 100,000 points…. not to me) but as an across the board 2.25% cashback with bonus categories of 4.5% and 7.5%, you can’t beat that for a $150 annual fee. This 5/24 thing with Chase is amazing. I called Chase and ran through my card history and I was clearly below the 5/24, but still no dice. The rep wouldn’t even admit to the 5/24 rule. There must be some sort of additional cooling off period, so I am going to have to lie low for a bit. It’s incredible they don’t even admit to 5/24! I’m not sure that’s a publicized rule that their reps would know about. It’s a rule that’s so out in the open that you’d think the reps wouldn’t be told to avoid disclosing it. —My wife has the Chase Sapphire Pref, the Ink Biz, & is 4/24 (I have the Chase Reserve); if she calls in to downgrade her CSP to the Freedom Unl, will she get the bonus points? —Better to have her just apply for the CFL? (She got the CSP & Ink in 2018). —I do most of the charging; can I somehow transfer her UR pts to my account? If she product changes she won’t receive the bonus points. Yes, you can transfer her points to your account provided you are in the same household. I already have this card so I can’t take advantage of the offer. However, for the right person, this would be great. I remember them offering this three points per dollar for the first year bonus a while back for a very short time. At that time, there wasn’t the upper limit of earnings at 3%. I think they realized that could cause trouble and this is why there’s the upper limit on earnings this time. This is a great bonus for every day spend, thanks for letting me know! Nice bump on a fantastic all-around card. One of my favs! Great option for those who don’t already have the regular Freedom card. The cash back is always a welcome surprise to me. My wife and I have both been denied Chase cards because of 5/24! I think that they should make the 3% cash back permanent, instead of only the first year. Totally agree. That’s why I’m not jumping in on this. not worth it for a year when I can easily get 2% back forever on CitiCashBack. Is it worth it more then a sign up bonus thou if your under 5/24? It depends. I have the CSR so getting 1.5 points as the floor everyday spend can then transfer to CSR for 50% bonus through the portal which comes out to 2.25% cashback. This 3% promotion for a year would transfer for an effective rate of 4.5%. The Chase ecosystem is incredibly valuable. I’d say if you’re under 5/24, it’d be worth trying to complete the trifecta of Freedom, Freedom Unlimited, and a Sapphire (I prefer the Reserve by far). This is the base card of the Chase trifecta. You definitely want it in your reportoir as it’ll be the workhorse of all non-category, non-churning spend. Let me paraphrase Jess’s most important point for Matt. The 60K points will still be 60K points, they don’t decrease. By also having one of the “Premium” Cards to transfer points to from the Freedom, the money value of those points increases to ~1.7c, or $1020, when used intelligently. Wow crazy…I wish this offer was available a few years ago when I got my freedom unlimited card. what is the easiest way to find out whether I am still under 5/24? Ron, is that because Chase rep can only tell you Chase’ card history , while 5/24 checks your entire credit history? Wondering what is the easiest way to check 5/24 before submitting an application. I wish I was under 5/24 so I could get Chase cards. These are the type of programs that can really add up. I never tried a cash back card. With Chase’s 5/24 rule I guess I never will, at least with them. Even though the spending to earn the bonus is high, the end result is a nice stash of UR points or cash. Thanks! We may take advantage of this one. Freedom unlimited is 1.5% on everything. 1.5cent back for every dollar spent. But like author mentioned if you have sapphire reserve those points count as 1.5X travel money. Meaning if you have both cards and you are willing to use the points for travel through sapphire reserve then you get 2.25cent travel money for every dollar you spend with freedom unlimited. It adds up and it is awesome! We just recently booked $2200 worth of a resort and it cost us 145,000 points. There is not other better rewards deal out there! I’ve read the post and looked at the site for the CFU. Maybe it’s the early time but I don’t understand if this is a sign up thing or if I already have the FU that I get it? I like to max points with Chase and Amex. This could make my Chase much more valuable. Yes, it replaces the traditional up-front signup bonus and is only available to new cardholders. I have received significant cash back over the years. It seems to arrive a good time. Thanks! I need a new Chase card. I’m confused, is this 3X on all purchases or just certain categories? Very clever on Chase’s part. 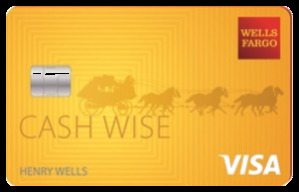 The average customer will not spend $20,000 on this card in a year, especially if they hold other 5%/5X earning cards, such as the Chase Freedom, Discover It, US Bank Cash+, etc. I like the idea of differently structured welcome offers across cards, so this is a nice addition to the mix. And, I’m sure Chase likes the idea to test how a different bonus affects consumer behavior. Same. I’d really like to see some out of the box different rewards. A different approach to marketing. Interesting option. This card is not worth applying in my opinion. If you are under the 5/24 rule, there are lots of other Chase cards that have a signup bonus more valuable than $600 with much less work (just meeting a minimum spend). It’s a longterm keeper card so it just depends on what you are after. Sounds like a great opportunity to earn points! The 3% is great! That 3 percent can really add up. Patience is rewarded. Exactly. Think of extending your budget 3% further. It adds up quick. Great information to have. I may just give it a try. Is chase a partner with the american airlines too? You can transfer to British Airways to redeem through AA. My wife said we will use this card to take advantage of the 3 per cent. Works for me! The 3% can definitely be worth it these days, even if you can get — on paper — more value elsewhere. Not the best signup bonus though. Great offer! That 3% can make a difference. The card comb strategy combination is very much appreciated. 3% cash back on all purchases for the first year, up to $20,000. That’s a deal. But after the first year it goes down to 1.5%. In that case Citicard 2% cash back makes more sense. Unless you also have CSR. Then through the portal you get a 50% bonus so these points are effectively 2.25% cashback as a floor. You could transfer to partners and get even better value. Interesting approach by Chase – might work well for some, but would rather get the same return after only $3K-$5K spend with an upfront bonus. Hope this isn’t the trend now unless the offers get a bit more lucrative. Hey Ron, you should be able to combine points earned on the Freedom Unlimited card with your Ink Business Preferred. Having the business card means you can transfer points earned with the Freedom Unlimited to Chase’s excellent partner programs. Thanks for posting. I will plan to get this card in April as I need to replenish my UR points. 3% straight cash is great. Everyone loves miles but sometimes cash works out to be the best! And if you transfer to a CSR, that’s 4.5% cashback by booking through the portal! That’s insane. Chase has once again proven the value of not signing up for many new card bonus offers at a time. By waiting (& always keeping open a 5/24 slot), a household could have taken advantage of the 100k Chase Reserve offer; the 100k Chase Ink Preferred offer; the unltd first yr Chase Freedom Unltd last year; the Ritz Carlton offer last year with Marriott Plat status for a year & 2 free nights at Marriott’s very best hotels; WOH card with 60k WOH points bonus offer. I’m not sure when the folks who “chase” any, & all, other card offers will finally learn to tamper their activities, but Chase has made it clear they will only reward those who do. And they do so with the absolute best transferrable points program along with plenty of seed points to get started. Yeah, generally keeping to one new card every six months is a good pace anyway. Not sure I get the appeal. Instead of getting your points upfront via a bonus you have to spend $20K. You could spread that across 4 other cards that have signup bonuses for a $5K initial spend. 3% indefinitely would be another story all together. Sweet offer. Guess they are trying to outdo Discover who doubles the first year’s cashback. That’s a large break even point over the standard $150 bonus. My plan though is to downgrade my CSR soon and then reapply for a new CSR. I’m not a churned and I think I’d rather have solid card history than continually opening and closing cards. Hey Darren, keep in mind that Chase won’t approve a new Sapphire (Preferred or Reserve) for 48 months from the last time you earned a bonus. Correct. I’ve had my Reserve for two and a half years now. I may downgrade to one of the Freedoms at around 50 or 51 months and then apply for a new Reserve. Wish I could apply. Darn that 5/24 rule!!! This will benefit my wife and I more than the previous bonus did. In non-bonus categories, we spend about $1,200/month which we’re currently getting 1.5 pts for. We won’t max out the $20k but if we can piggyback a new card for me and then her after my 12 months is up, we’ll come out pretty far ahead. I am under the 5/24 “rule” and currently have a freedom unlimited card which I downgraded to so I never received the signup bonus for this card. Could I apply for another freedom unlimited card to take advantage of this 3% bonus or do I need to cancel my current freedom unlimited card first before applying? If the latter, how long do I have to wait after closing before applying? Any help would be much appreciated! I know you can downgrade from a Sapphire and have several Freedom cards. I think you can apply for more than one but I’m not 100% sure. Is this offer better than the Sapphire bonus of 60,000 points? Nice nice offer. I’m in on this one. I’m in need of a Chase card so this is very helpful. 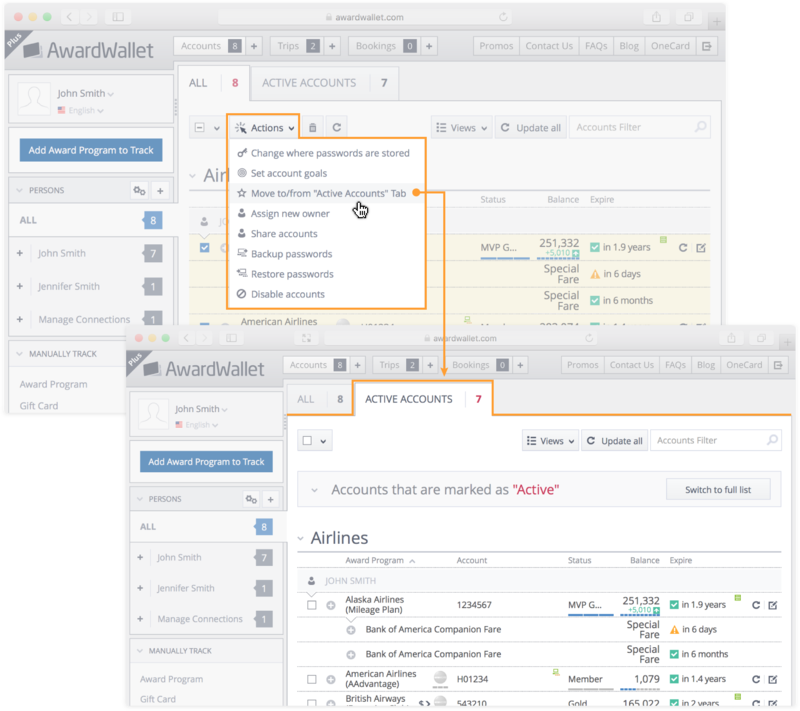 I appreciate AwardWallet giving us strategies to help plan which Chase card to get first. Thanks! This is the workhorse card. Pair it with a Chase Freedom and a Sapphire (I prefer Reserve) and you’ll set yourself up very well.